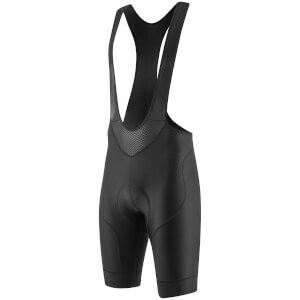 Nalini Gregario Bib Short features an anatomically cut race fit design that moves with your body without restriction. Lightweight compression panels are strategically positioned to support your muscles and optimize circulation of blood flow so you're ready to take any challenges. The highly breathable and sweat-wicking fabric does its job to keep you cool and dry when temperatures are high. The stretchy upper braces lay flat against your upper body to keep the shorts positioned while rear mesh back pulls excess moisture and heat away from upper body to keep you comfy. thanks to the elasticity of the materials used. The innovative assembling technique leads the cyclist to costantly adopt a correct posture. Both hydrophilic and waterproof properties of the components guarantee excellent drainage followed by a good sensation of freshness. The extended front area allows a more effective compression action. These bib shorts are decent quality entry level. They are true to size for me. At 5' 9" and 200lbs I took a large. The weak point of the shorts is the chamois. It isn't ergonomic and it bunches up during the ride. I wouldn't use these on longer rides because they get quite uncomfortable after an hour in the saddle.